Stuttering is a communication and fluency disorder usually beginning in childhood. Developmental stuttering (DS) is a speech disorder which is characterized by repetitions, prolongations or pauses that disrupt the normal flow of speech. It occurs in approximately 5-8% of the pres-school children and recovers spontaneously in 70-80% of the cases. 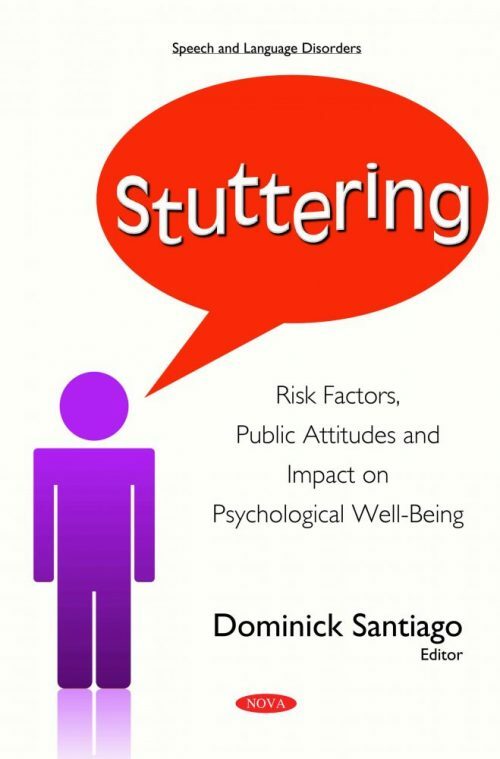 The role of a stuttering person’s possible tendency toward psychosocial-emotional disorder as an etiologic cause of stuttering is discussed in this book. Overall, research findings appear to support the role of tendency toward psychosocial-emotional disorder as an important contributing cause in the etiology of developmental stuttering. The authors also examine the psychological impact of stuttering, the neurobiological differences in the cerebrum between persons with developmental stuttering and the public attitudes towards people who stutter.